The Hallé Youth Choir, now in it’s eleventh year, has become recognised as one of the leading mixed-voice youth choirs in the country. Membership is for talented young singers across the North West region aged 13-19 years. Under the direction of the Hallé's Youth Choir Director, Richard Wilberforce, members develop such skills as vocal technique and communication with an audience through lively rehearsals, masterclasses and chamber groups. The Youth Choir performs independently as well as with the Hallé and other Hallé Ensembles. Since its creation the Youth Choir has covered a wide range of diverse repertoire. Highlights from previous seasons include featuring on the Hallé’s Gramophone award-winning recording of Elgar’s The Apostles with the Hallé Choir, and performing A Sea Symphony by Vaughan Williams at the First Night of the BBC Proms at the Royal Albert Hall in July 2013. 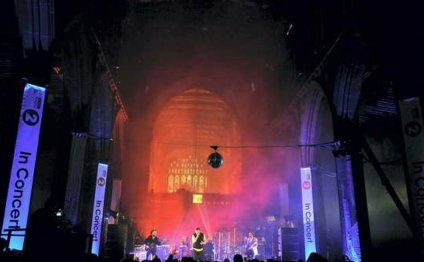 The Youth Choir also sang on Manchester band, Elbow’s 2011 album ‘Build a rocket boys’ and performed with the band on Comic Relief and Later…with Jools Holland in 2011. The Youth Choir tours every summer, having recently travelled to Cornwall, Belgium and Scotland. If you or anyone you know is interested in joining the Hallé Youth Choir, please contact Vicki Ciaputa, Youth Ensembles Coordinator at vicki [dot] ciaputa [at] halle [dot] co [dot] uk or on 01. Anyone interested in supporting the Youth Choir should contact Eleanor Roberts at eleanor [dot] roberts [at] halle [dot] co [dot] uk or on 01.